Do you know a recent law school graduate who aspires to the bench? Get her a custom bobblehead! This is also a great gift to congratulate someone recently appointed to a judgeship or to thank a retiring judge for her service. 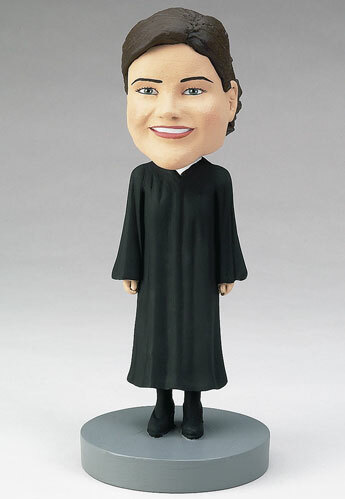 Fun and personalized, this bobblehead can stay in her office or sit on her desk.